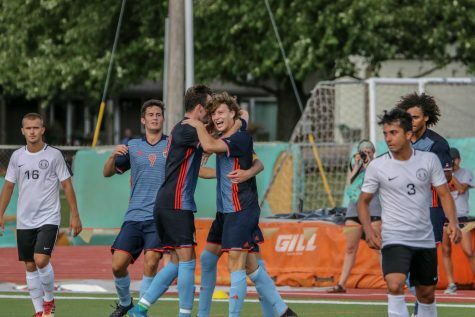 The men’s soccer team won its third consecutive game by defeating Evangel 12-0 Wednesday night at Liston Stadium behind hat tricks from sophomore Blake Levine and freshman Joe Houlihan. This was the first time the men played with their new No. 10 national ranking in the first regular-season NAIA Coaches’ Poll. It was the first time they’ve scored 12 goals in one game since 2007. The Wildcats currently have the best overall record in the Heart of America Athletic Conference and are one of five Heart teams undefeated in conference play. Baker’s overall record is 8-1-1 with its draw and loss coming in back-to-back games. On Wednesday night, Baker got the scoring going early against the 0-5 Evangel Crusader team. 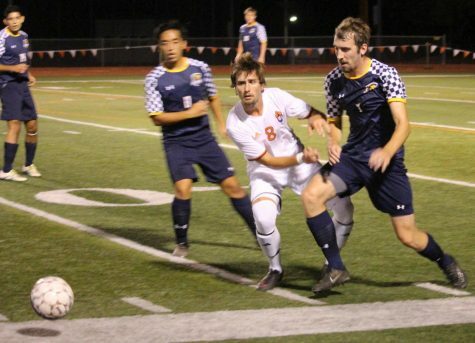 Senior Austin Shiney and Levine took advantage of the Crusaders’ weak defense and each scored a goal in less than 30 seconds. 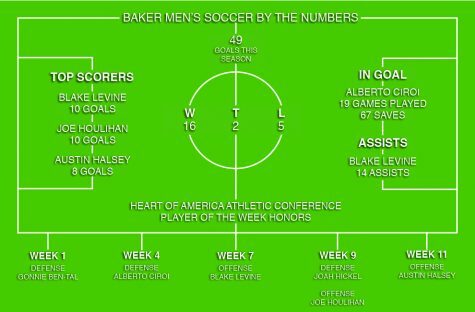 Baker led 2-0 after just 13 minutes and Levine’s night was not over yet. The Wildcats’ bombardment of goals continued throughout the first 45 minutes. 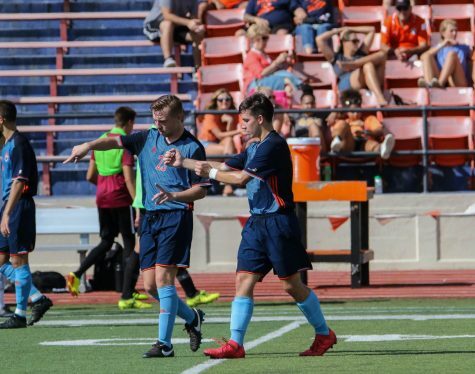 Goals poured in from junior Keaton Anchors in the 19th minute, senior Amer Didic in the 20th minute, junior Matt Hamm in the 33rd minute and freshman Joe Houlihan in the 44th minute. Baker led 6-0 at the half. The six goals at the half were the most goals that Baker has scored in a single game since beating Culver-Stockton 6-0 in 2012. Baker outshot Evangel 25-0 in the first 45 minutes. Anchors took a team-high 7 shots in the first half. 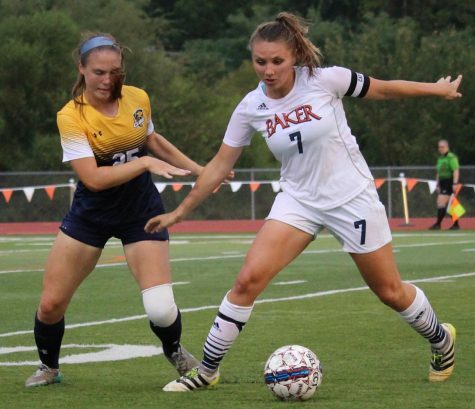 Levine, Baker’s leading goal scorer in 2014, started the second half with a goal in the 48th minute to put the Baker lead to 7-0, Levine’s second goal of the night and second goal of the season. 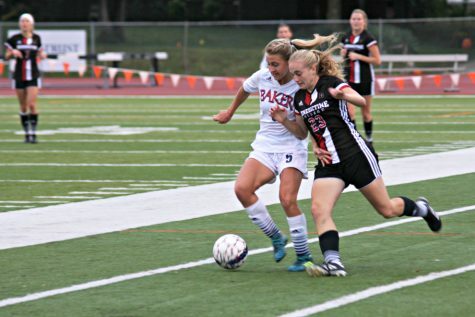 This was the first time Baker had scored seven goals in one game since beating Culver-Stockton 7-0 in 2009. Immediately following the Levine goal, freshman Steeve Pouna scored in the 51st minute to make the score 8-0. At that point Baker had 28 shots before Evangel could even take one. 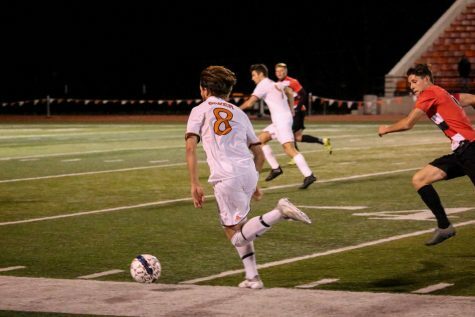 Levine scored his third goal of the night in the 56th minute and the hat trick was complete for the sophomore. Junior Alex Brivik followed up Levine’s goal in the 66th minute for Baker to score a decade of goals and take a 10-0 lead. Baker scored in the 86th minute when Houlihan put in his second goal of the night to push the score to 11-0. This was the first time Baker has scored 11 goals in one game since the Wildcats beat Avila 11-1 in October of 2007. 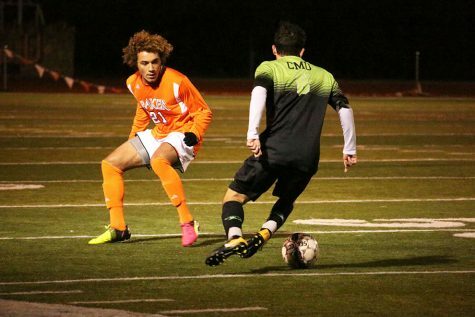 Baker outshot Evangel 50-2 on the night. Baker’s final goal was scored in the 90th minute by Houlihan, as he completed a hat trick for the evening as well. 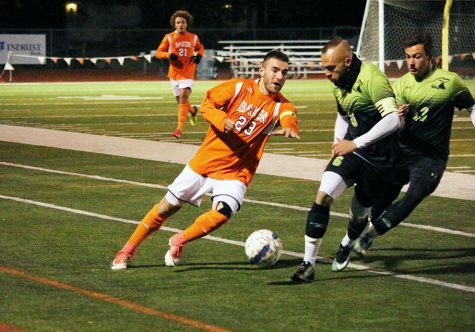 In just one game, the BU men were just four goals shy of their entire goal total in 2015. 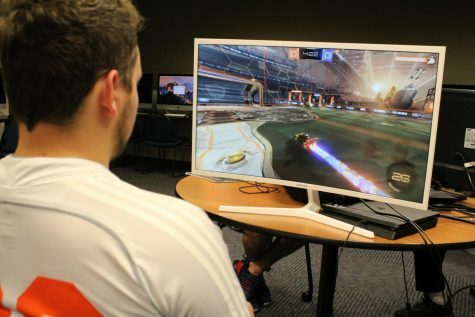 The men play next at 3:30 p.m. this Saturday at Culver-Stockton College in Canton, Missouri. This is the same field that Baker won its second consecutive Heart tournament championship in 2014.